Antonio Urbinati strolled through the piazza early one morning with the wind at his back. Passing through the tall arched doorway of City Hall, the boatman of Cagli had reached his destination. The final obstacle in this journey took the form of a massive double door made of dark-brown wood. The skilled craftsman had just the tool to solve this problem. Removing a key from his pocket, Antonio turned the lock and slowly opened the heavy doors to his display room. Standing in the doorway, he took a moment to look into the past. More than a decade earlier, this banker by trade found himself at a fork in the road of his proverbial journey. He returned home from a night of drinking with his friends and found his wife unsatisfied with his life choices. “I can’t take it anymore,” she said pleadingly. “You need to pick a hobby, or I’m leaving.” Faced with this choice, Antonio set out to change the course of his life. 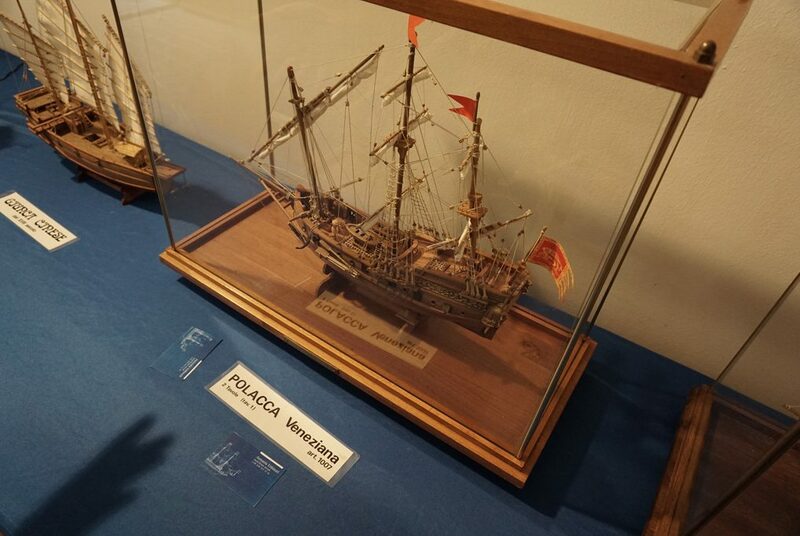 As luck would have it, Antonio had a friend who made model boats. This friend enthusiastically began each project but lacked the ability, desire, and patience to finish them. Given his wife’s recent ultimatum, Antonio decided to alter the his life’s course and let model building become his new pastime. This new journey did not begin smoothly. 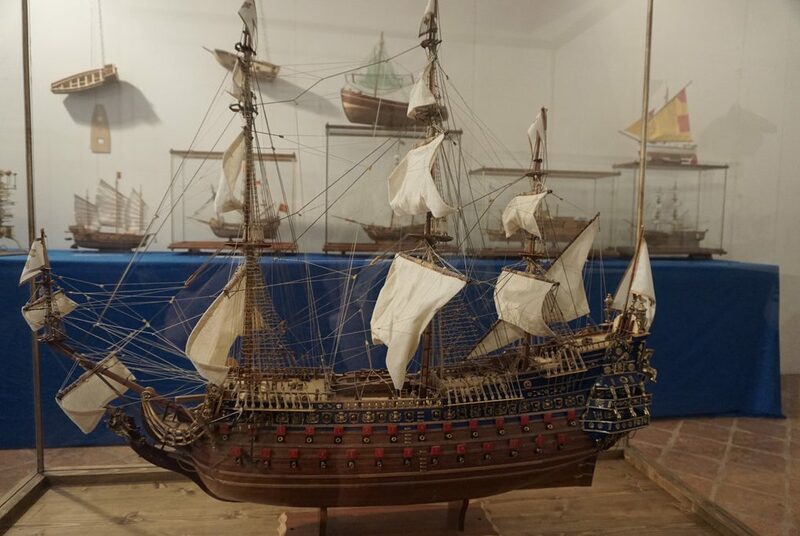 His children would see boats and want to play with them, so Antonio had to explain why they should not touch certain things. As a result, his offspring were unenthusiastic about their father’s new hobby. Several friends also struggled to fully appreciate the time and effort that went into each detailed vessel. 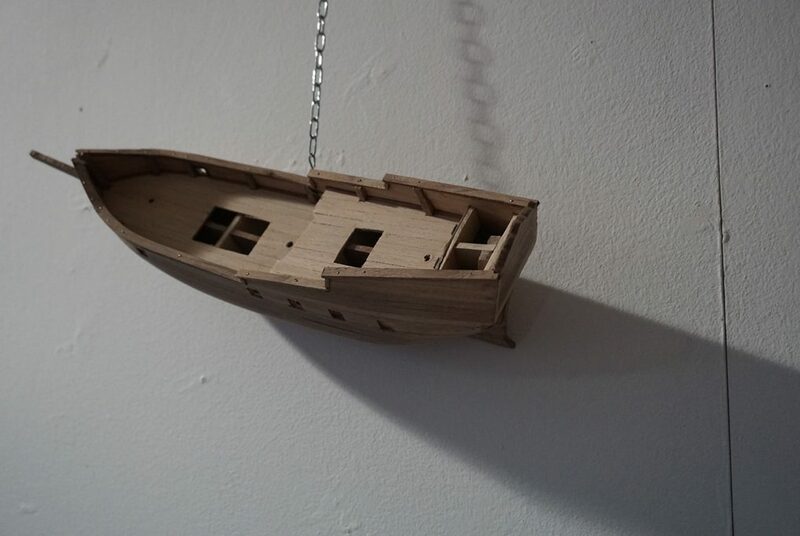 For a time, Antonio planned to assemble several boats and give them as gifts. A story comes to Antonio’s mind as he recalls a boat he gave as a wedding present. The bride was upset that someone would think to give her a piece of junk like that on her special day. 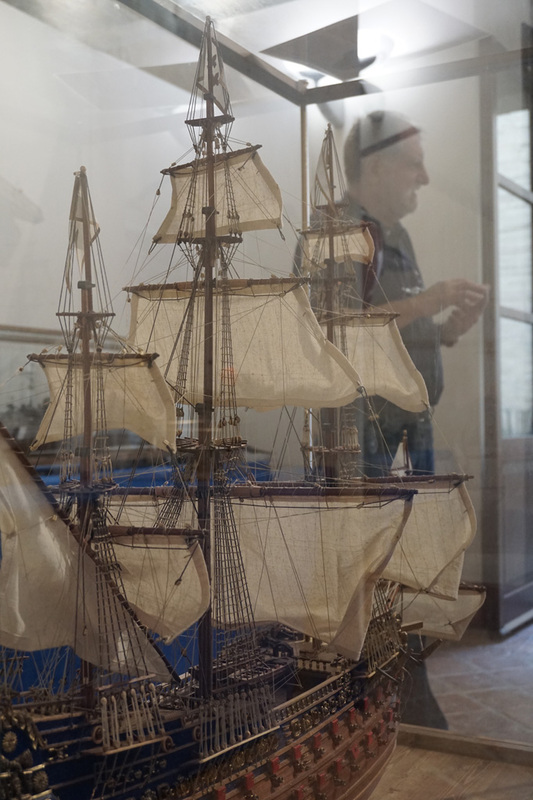 Each boat is constructed with such meticulous detail that one project can take up to a year to complete when Antonio works on it for three hours each day. When accompanied by a cost of up to 1,000 euros, these models clearly transcend a small hobby and demonstrate serious passion. 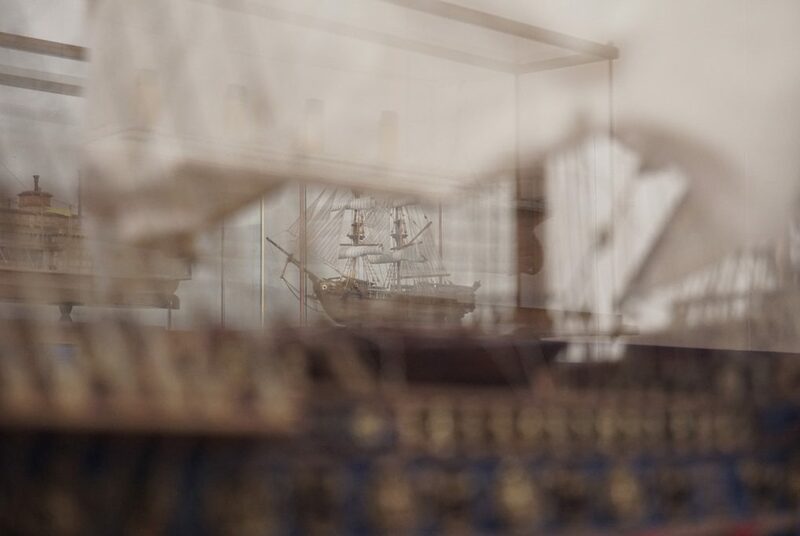 With more than ten boats on display—ranging from small fishing boats to warships measuring nearly one meter—the scale of this devotion begins to fully take form. The simple fact is that Antonio has dedicated a great deal of time to mastering his craft. The amount of time spent on each project is mind-boggling. Every knot of every sail is thoughtfully tied by hand. The detail, the intention, the devotion, and the patience all create a gale-force wind that fills the sails of each observer, driving them to ask the final overarching question. Why does he do this? His kids don’t seem to fully appreciate the models; friends are upset when they receive them as gifts. No one is going to pay a price that would capture the monetary cost and the time commitment for each project. After all these years, what would push someone to keep creating models of such complexity? 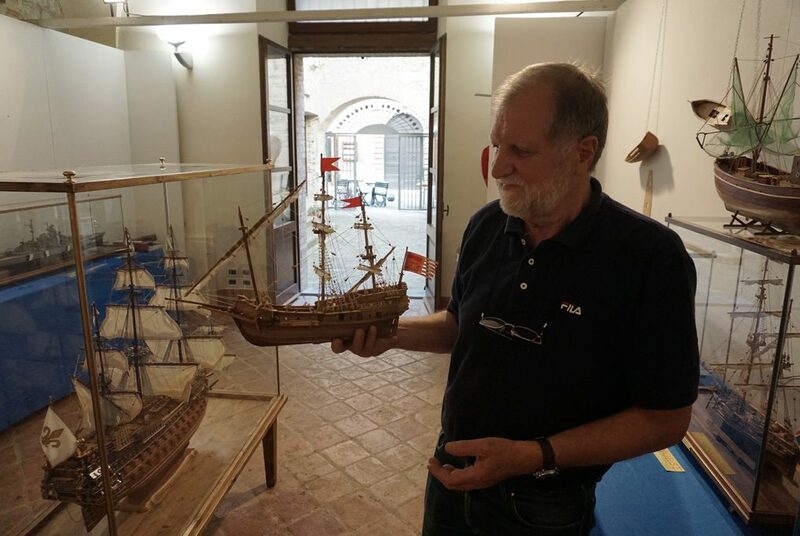 Antonio and his passion for model building seem to embody an older way of life that springs to mind when people think of Italy. Throughout the country, cobblestone roads and ancient arches draw travelers from around the globe to create an economy centered on tourism. Ancient architects paid close attention to meticulous details, slowly constructing durable masterpieces. As a result, buildings stand today that have survived for more than half a millennium. Modern creative endeavors seem to be built with short-term intentions. There is something about an old soul. The warmth and comfort can’t be created without the time that goes into each project. 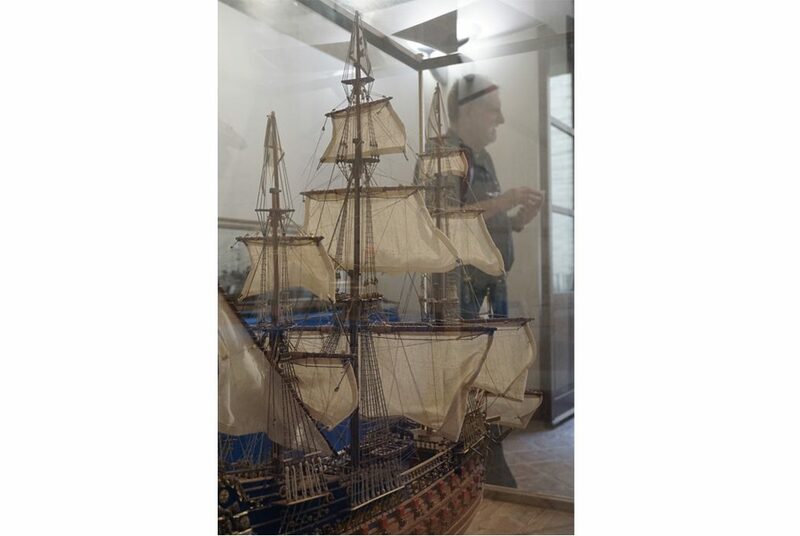 As the boatman of Cagli closes the door to his display room, he passes his hand over the ancient wooden door. The last ray of light rushes to enter the room as the door comes to a heavy close. Twelve years have passed since Antonio lost his wife. His kids say they won’t keep his boats when he dies, and friends don’t appreciate them as gifts. As Antonio follows the breeze and smoothly drifts through the piazza, he represents an ancient view of the world centered on persistent progress. Mastering a craft comes with a cost. Antonio, feeling the cobblestones beneath his feet, has paid the price and is eagerly searching for more.